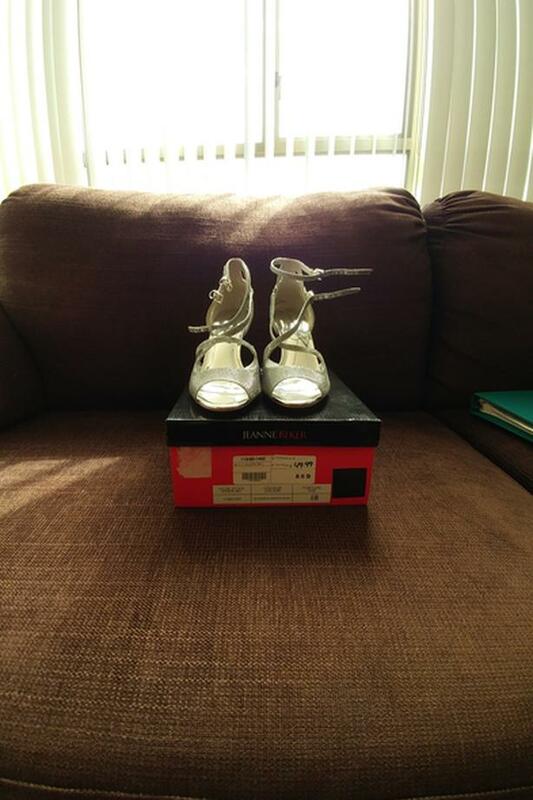 Jeanne Beker lady's shoes BNIB size 8.5 silver color for $ 35 dollars OBO also another pair gold color ( size 8.5 ) of the same style and same brand shoes worn only once indoors for $25 OBO. If purchased both pairs together price is $ 50 dollars. Please call 604-349-8622 thanks for looking.